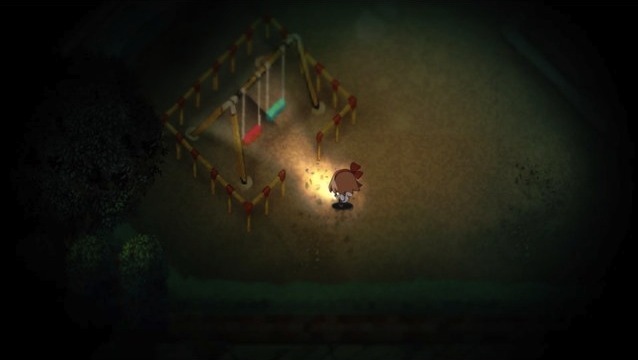 A few days ago, the powers that be Nippon Ichi finally loosened their lips regarding a horror-themed game the company first teased in late June. The name of that game: Yomawari, which translates to ... actually, I have no idea what "Yomawari" means in English or any other language, I'm sad to say. 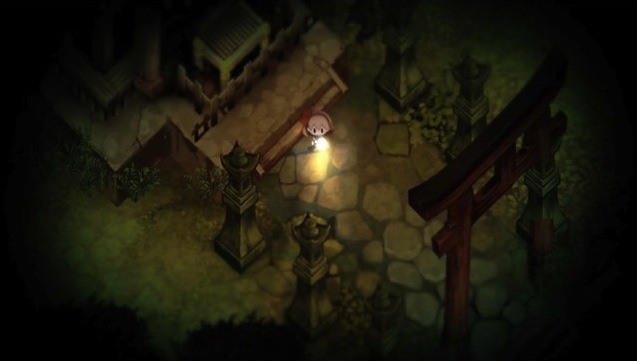 Regardless, this in-the-works Vita game both sounds and looks pretty darn intriguing. 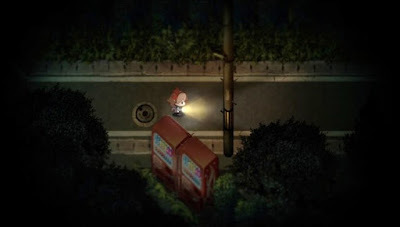 In terms of the former, the earliest reports about this autumnal release (Oct. 29--in Japan) have summarized its story as such: "lost in darkness, a girl attempts to find her sister and their dog." Admittedly, what is shown here is a far cry from what was suggested by the first teaser video Nippon Ichi put out, but I personally prefer this htoL#NiQ-esque aesthetic to something more realistic, so you won't hear me complaining anytime soon. Whatever the case may be, please feel free to share your opinions on the matter in the comments section below. If this comes out in the west, I'll pick it up since it looks cute. I like her bow and the art looks like Silent Hill meets Disgaea. I wonder how scary this will be. I know it's wrong to judge it before it's out, but I was more excited for the Blair-witch style realistic look from the trailer. First person survival horror on the Vita would have been so cool! It just makes me crave more games like "Siren," "Fatal Frame," "Kuon," "Rule of Rose," that should be on Vita. Hmmm, I definitely can see why you might say this game has an EarthBound-esque aesthetic due to the camera angle, Justin, but the rest of this game’s look is quite a departure from that Nintendo classic, if you ask me. Still, I hope it’ll be well worth buying in the end.